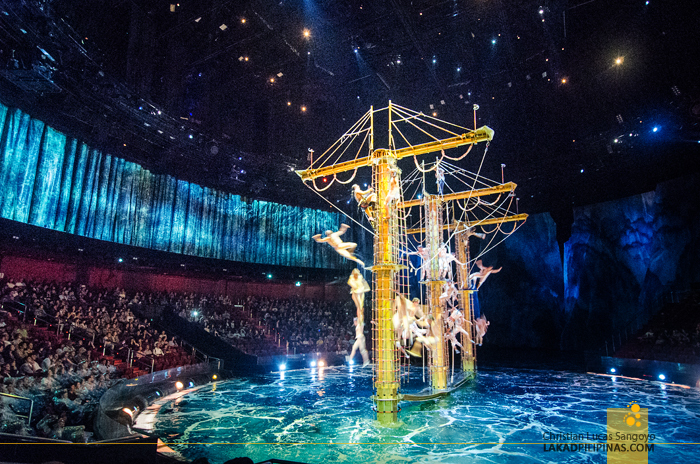 A pirate ship rose from the stage, a stage made of water, and clinging like spiders from its masts, pirates, diving with abandon several meters from the surface. My jaw dropped in sync with their every jump. I haven’t seen a theatrical show anything remotely like this. It was marvellous. It was astounding. It was (insert more superfluous adjectives). 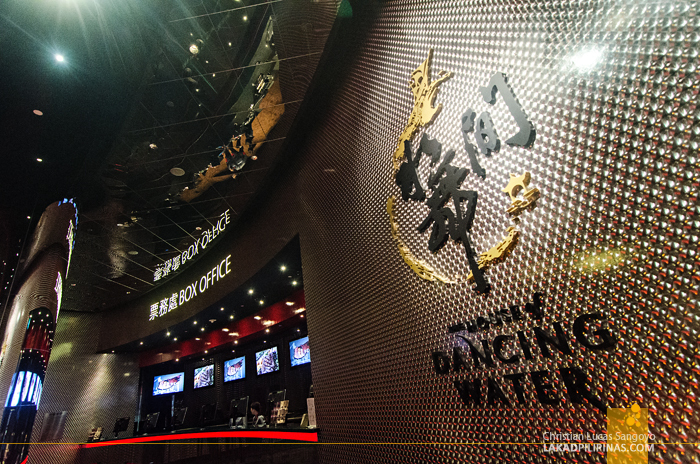 Initially, I wasn’t really that keen on watching The House of Dancing Water. 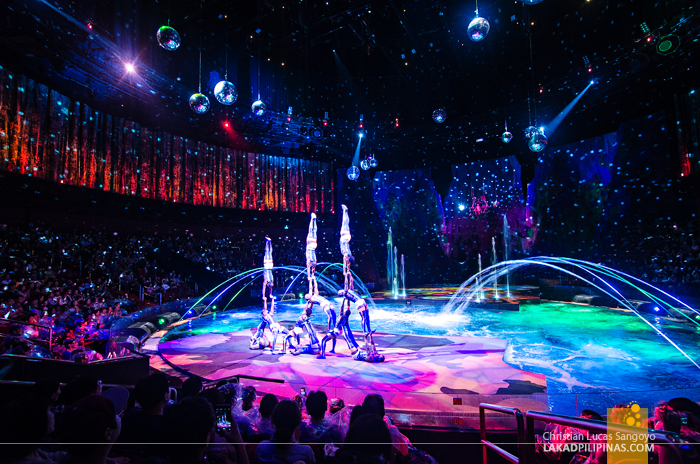 Although I’ve seen a couple of grand theatrical productions before, like Thailand’s highly-acclaimed Siam Niramit, and heck, even enjoyed it, I was more drawn to exploring the side-streets of Macau than attending a show. 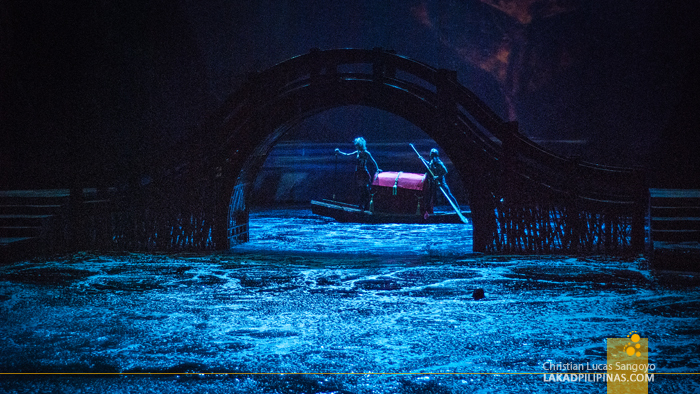 CAN YOU IMAGINE A STAGE TRANSFORMING INTO A RIVER WITH A BRIDGE? But one of my companions was very insistent. We have to watch this show, he said. 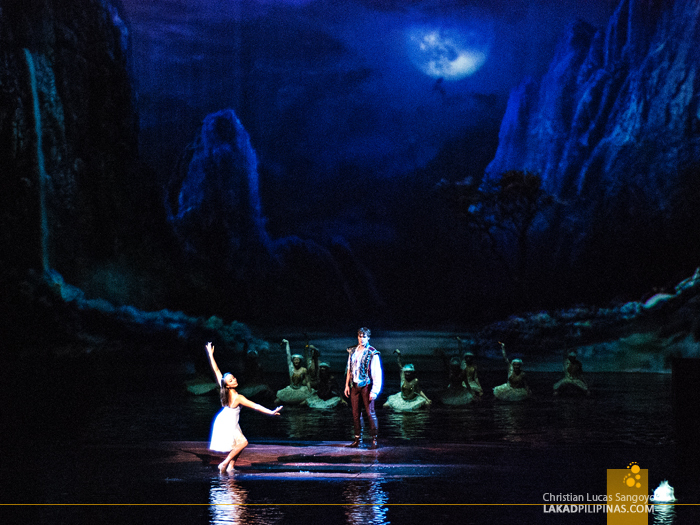 We cannot pass the opportunity of being in Macau and not attend the House of Dancing Water. 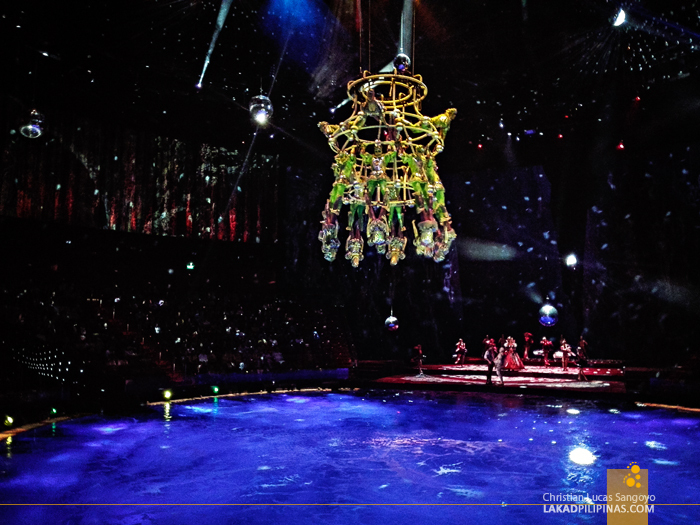 He then rattled off the production values of the show; the stage is made of water—seven meters deep, filled with 3.7 million gallons (equivalent to five Olympic-sized pools) of roiling liquid. 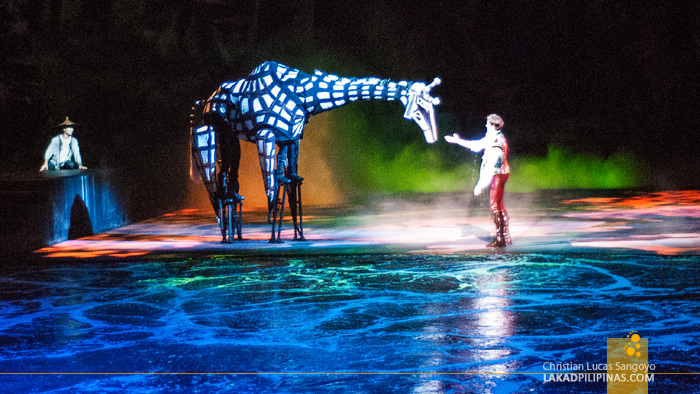 It is the largest water-based show in the world, he finished off. I was convinced. 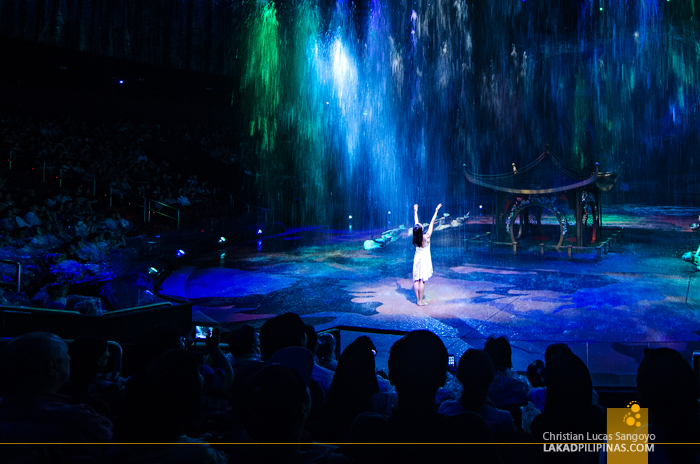 LITERALLY, A STAGE MADE OF WATER! 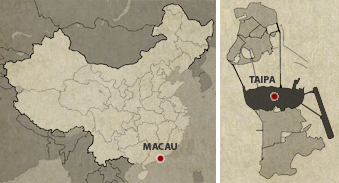 So after our quickie buffet at Belcancao Restaurant, we ran for the City of Dreams Macau. Panting and exhausted, we flashed our tickets at the box office and were promptly escorted at the center of the 270-degree view stage. We were quite near the water-stage, a few seats more and we’d have to wear raincoats as the stunts would literally wet your pants off. Mist enveloped the stage as slowly, a huge pirate ship rose from the water. 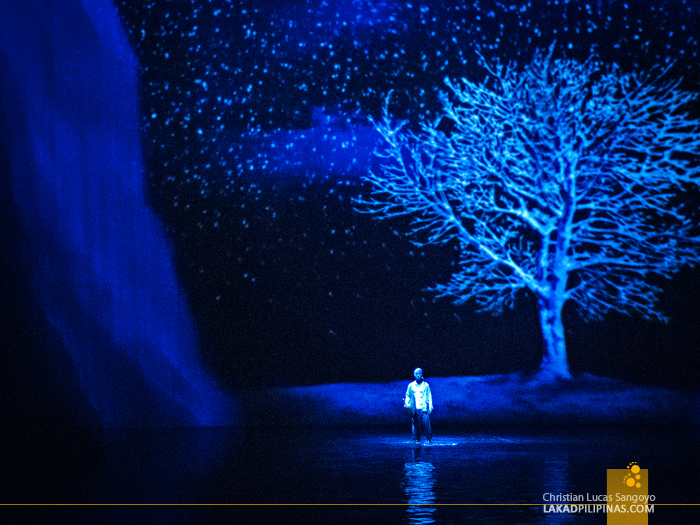 It was only one of the many spectacles viewers would be treated to for the hour and a half duration of the show; the stage transforming from water into a solid platform in between each sets. Granted, there isn’t much to the story, it being the usual tale of a love between a stranger and a princess, thwarted by an evil stepmother. In between, a local fisherman, an evil magistrate, a bald, thin-as-a-stick-bone-bending wise man, and heck, even motocross riders occurs within the somewhat confusing storyline. But forget about the story. 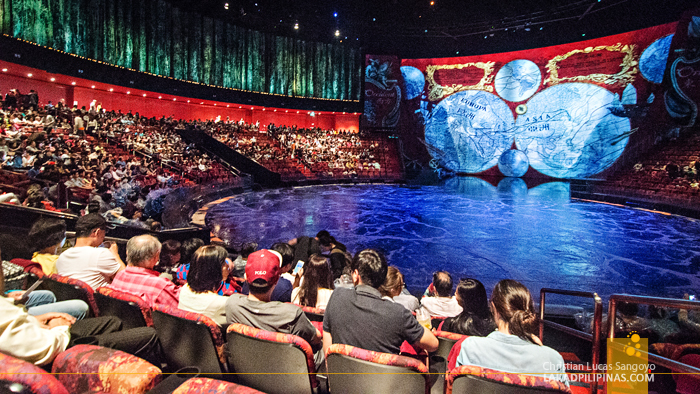 What people came to see here are the stunts and spectacles of the show. Can you even imagine a stage made of water. Before seeing it, I can’t either. This is indeed, the grandest, most awesome, super (insert more spectacular adjectives) I have ever seen, bar none. It’s one of those times I actually enjoyed getting into a theater.